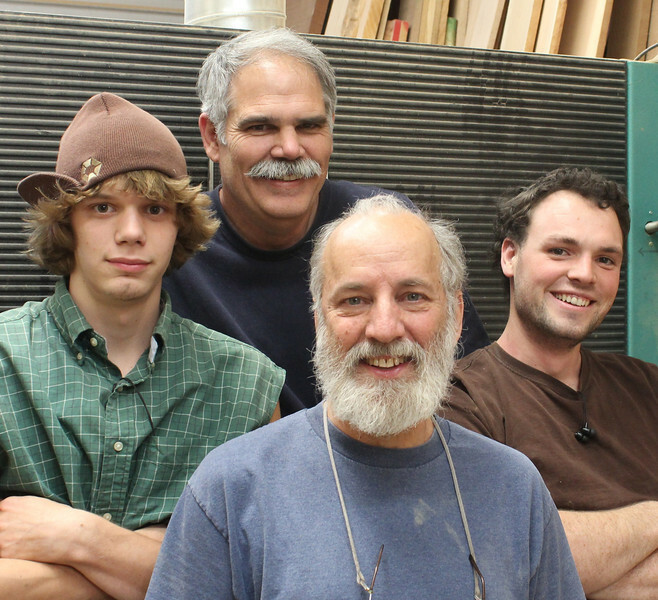 With over thirty years of woodworking experience apiece, Mark Frey and Alan Dunn have spent over half of these years as a team, utilizing each others strengths to build the business that we are today. Our client satisfaction record attests to our dedication to understanding your needs and creating unique solutions to realize your dreams, down to the smallest detail. At Woodgrain Woodworks, we are not only able to create highly functional, cost effective, artistic designs, in any style, traditional or contemporary but we also have the woodworking skills to beautifully execute these designs. Whether your project is already designed and only needs fabrication or you are looking for assistance in coordinating cabinet finishes, counter tops, flooring, wall treatments, fixtures, etc., we will tailor our involvement in your project to suit you. We also feature computer assisted design that can quickly generate 3-D renderings to help you visualize your project. Standard in all our cabinetry, are features such as maple interiors, self closing dovetailed drawers, 3/4"boxes with1/2" backs, superior construction techniques and quality materials.